The Global Dressage Forum North America (GDFNA) is North America’s leading educational platform for the international dressage world. Dressage training techniques for the development of horse and rider are analyzed and presented in both practical and theoretical sessions. The world’s top trainers, judges and officials who have a world wide impact on the development of dressage horses and riders are presented with the latest developments in horse management, veterinary practices as well as sports science educators, are also on stage. Dressage trainers, riders, officials and serious dressage enthusiasts from around the globe gather at this annual educational festival held at the Los Angeles Equestrian Center in Burbank CA. 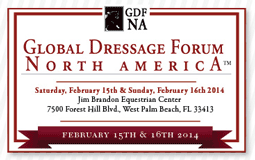 The Global Dressage Forum North America (GDFNA) will be featuring the world’s top dressage educators presenting training demonstrations by international and Olympic champions. By demonstrating with horses and pupils or they themselves riding and lecturing, this unique event allows an in-depth insight into what makes their methods so successful. Respected judges and equine specialists from all over the world will also convene at the Forum to evaluate and discuss or lecture with riders and trainers and all participants. The intention of the Global Dressage Forum North America (GDFNA) is to provide an educational medium through which a common dressage language and philosophy for the training and development of dressage horses can be maintained and spread globally. 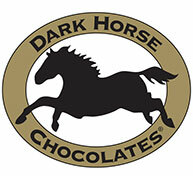 The Global Dressage Forum North America is rightly proud of its traditional roots and successful history. 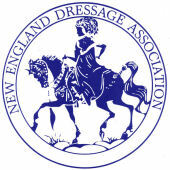 While recognizing the importance of classical riding, auditors and participants at the GDFNA are invited to be open minded and stimulated to explore ideas for the sound development of the dressage horse. As the world's foremost independent annual global convention, the GDFNA is unique in itself, and, in its goal to assist in the promotion of dressage education for the further development of dressage horses and riders.